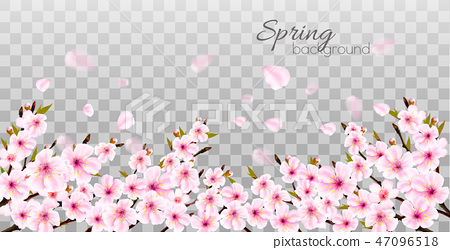 Stock Illustration: Branches of a blossoming sakura round. Branches of a blossoming sakura on transparent background. Vector.